Posted On February 11, 2019 by Team iCynosure. Are you considering a facelift to make you look decades younger? Then, lifting your face should be a priority. Plastic surgery is arguably the best way to make you appear more youthful and used by thousands of beauty and fashion icons worldwide. However, you need to be careful when selecting surgery to lift your face as there is a possibility that it may not go as desired and leaves signs for everyone to see. And then to attempt to correct such mistakes is a daunting task, and the results are not guaranteed to be favourable. Why is a facelift necessary? People age differently. You might realise that you look younger or older than your age and people of similar ages. A problem can arise when you feel that your body, especially your face has aged more than the rest of your body. Sometimes your career or your genetic predisposition can make you age uncomfortably faster which may misconstrue your facial expressions. For example; a sag in your mid-face can make you look droopy even when you are smiling. A facelift in such a case will make you look and feel younger. • To minimise creases along the nose which proceed along the mouth that are the major signs of ageing. • To reduce the mid-face sagging which makes you look unhappy at all times. • To make the jowls in the jawline smooth which will make you look much younger. • To remove the double chin which just looks ugly making you look older. How is a successful aesthetic facial surgery done? Generally, a hairline incision is made from the temple area all the way to just behind the temples for a simple facelift. If you want to reduce a double chin, a similar incision is made in the naturally occurring crease below the chin. Hiding the scars in these ares are pretty easy; in fact, it will be extremely hard even for you to pinpoint the exact incisions. However, this requires a surgeon with enough experience and technique. What are the telltale signs of facial surgery? • Distorted and stretched face skin due to overdoing the reconstruction. • An altered hairline if the incision is not symmetrical on either side of the face. • Conspicuously high brows especially if exaggerated, will make the face look odd. • Distorted ears if there is loss of symmetry during the surgery. • Deformity in the neck if the lifting of the chin skin is done poorly. These signs are frightful and should never happen. However, this is not to discourage you from going for surgery as it is quite a routine procedure and many surgeons can uplift your face beautifully and leave no traces whatsoever. How to avoid the telltale signs of a facial surgery? When it comes to avoiding the signs of facial surgery, there are two approaches, one that is the surgery that is the onus of the surgeon and second that is the care which is the requirement by the patient. An experienced surgeon will not have trouble making the surgery as conspicuous as possible with two key skills, namely making incisions in areas where they cannot be easily seen and avoiding stretching the skin more than required and of course the incision symmetry. A patient needs to ensure that the surgeon selected is adequately experienced for the kind of surgery needed. Also the outcome depends on the condition of the face, which in a way limits the results. Align the expectations with the pre-mediated result so as to not put unnecessary pressure on the surgeon. A facelift should make you happy, however, if it is not done well it can make you look weird. Distorted earlobes, scars in your face, misaligned hairlines can make you regret the procedure. As it is both an expensive and time-consuming procedure, pick the right surgeon to make you face. A good plastic surgery should leave no sign behind after the surgery is over and healed. At the same time, you should not be over ambitious since there is a limit on what can be done to make you look younger and pretty. 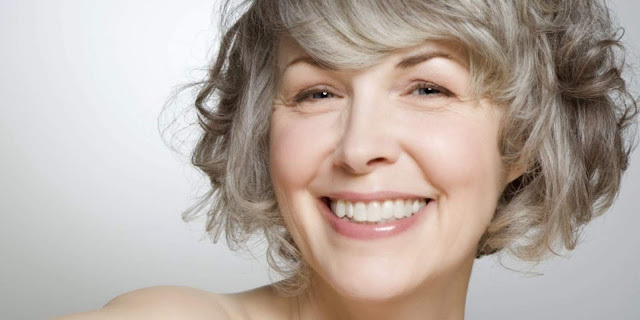 Dr. Miller heads one of the leading anti-ageing centres in England. This board-certified surgeon specialises in plastic surgery especially facelifts His experience in this field can be affirmed by the fact that he is a member of ‘The American Society of Aesthetic Plastic Surgeons’, ‘The American Society of Plastic Surgeons’ and ‘The Royal College of Surgeons of Edinburgh’. You can learn more about him here.